Jennifer is a psychologist, coach, mentor & trainer who provides training, workshops, assessments, coaching and mentoring for gifted people and the professionals who support them. Her work is dedicated to raising awareness about giftedness, helping gifted individuals better understand their unique mental make-up and translate that into constructing satisfying lives, and helping professionals to be better equipped to support their gifted clients in meaningful ways. She offers her services through Rediscovering Yourself and via her gifted personal development & community platform InterGifted. Jennifer’s studies and contributions have followed the traditionally gifted non-linear path. Originally trained in psychology, classical music, and coaching in the U.S. (Master in Counseling, Bachelor in Music and Psychology, Diploma in Life Coaching), she decided to carve out a non-conventional path, coming to settle (for now) in Europe, first Italy and now Switzerland with her husband. She has worked in business, entrepreneurship, teaching, coaching and guidance in different ways since her early 20’s. Her work and reflections have been highly influenced by her mentors and the teachings of masters of various disciplines, among others the Dalai Lama, David R. Hawkins, Eckhart Tolle, Erich Fromm, Nassim Nicholas Taleb, Daniel Kahneman, David Chalmers, and Kazimierz Dabrowski. 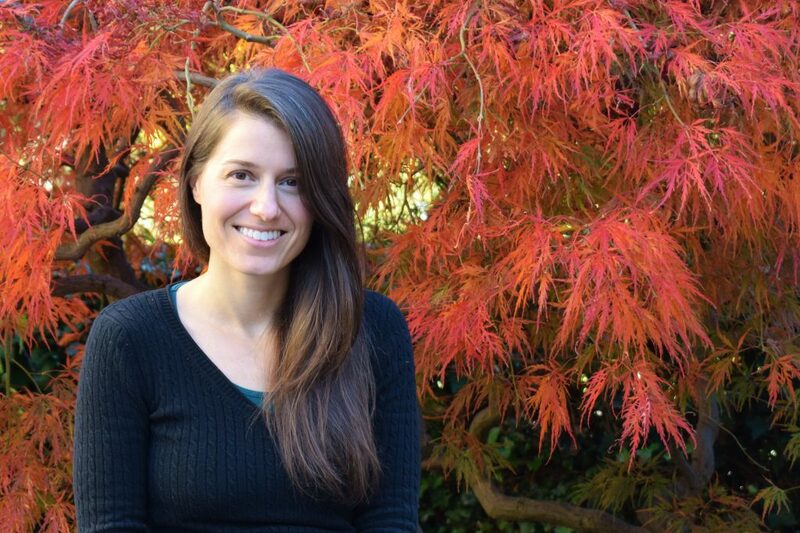 In 2015, Jen founded InterGifted in order to help gifted people around the world connect. She also dedicates much of her time to writing on self-development for gifted people. Her extensive blog here on Rediscovering Yourself is full of helpful articles, and she writes often for InterGifted’s blog as well. She is in the process of finishing two books (under a pen name) which follow her challenging journey of growing up gifted, and is also currently working on a theoretical book called Intense Minds: Mental Complexity and the Construction of the Self, which aims to open up to a productive dialog on the positive evolution of self through the model of gifted cognition. Learn more on our workshops page and at InterGifted. I love to see coaches and other helping professionals dedicate their work to supporting the gifted. I train coaches, psychologists, psychiatrists, therapists, counselors, and social workers on the fundamental complex dynamics of gifted cognition and guide them to best support their gifted clients. Giftedness is not a one-size-fits-all concept. Within giftedness there are levels and flavors; and if anything else is added to giftedness, such as ADHD, Autism, learning disabilities or other similar conditions, giftedness can be very hard to fully understand. Even if one has an IQ score that “proves” one’s giftedness according to that measure, the intelligence that makes one good at IQ testing is far from the whole picture of one’s “giftedness profile”. Assessment sessions with me are designed to help you look at the full picture of your giftedness (or possible giftedness, if you’re not sure yet): including your level and areas of giftedness, and any second exceptionalities you have and how that affects your expression of giftedness. If you have an IQ score, that can be a helpful data point for us to include in our analysis, but we are looking at a picture larger than just logico-mathematical intelligence. We are looking at a more holistic picture of how your mind takes in and organizes the world, and how that translates into your unique gifted perception, expression, challenges and opportunities. Assessments can be done in one two-hour session; many people like to take two to three two-hour sessions in total, so that we can look more deeply into how your giftedness combines with your unique personality style, culture, family culture, educational opportunities or lack thereof, and so on, to get a more complete picture. However, one session is sufficient for a basic understanding of your level and areas of giftedness. Many people want to continue coaching or mentoring sessions following the assessment session(s), and for that, I connect assessment clients with coaches from my InterGifted Coaching Network. Most like to join my InterGifted Peer Community or Highly, Exceptionally & Profoundly Gifted Group in order to connect with their gifted peers from around the world and learn more about themselves and giftedness through healthy mirroring and community participation. Essentially, in my work, I’m dedicated to helping you find the right ongoing support for living out your giftedness in the most fulfilling way possible for you, and for many that starts with an assessment. The jumping off point for mentoring and coaching highly, exceptionally and profoundly gifted adults is never predictable: maybe it’s a pressing life question they’ve been unable to answer on their own, progress on personal development or a major project, healing from trauma, or a need to discover and understand their very unusual minds – or some combination of these and more. Sessions are non-linear and follow where the client’s mind takes us, with guidance from me to marry meta perspectives and micro practice. It is common, but not mandatory, that sessions last several hours. They also often happen in spurts – one or several in a row followed by a pause while insights are integrated. Highly, exceptionally and profoundly gifted adults learn in meta-steps, thus a non-linear partnering which adapts to their need for comprehensive and in-depth understanding, uncommon speed and unusual thinking style is needed. If you don’t know whether you are highly, exceptionally, or profoundly gifted, read my article here or consider scheduling an assessment session to explore the question with me. Due to high demand, I am currently unable to take new coaching clients; however I have trained and mentor coaches within my InterGifted network who are themselves highly to profoundly gifted, and specialize in the support of highly to profoundly gifted adults. Feel free to reach out to me for a personalized referral. Training and mentoring sessions are 225 Swiss Francs per hour; assessment sessions of two hours are 475 Swiss Francs. They are held virtually by Skype/zoom/phone, or in person in and around Arbon, Switzerland; in English, French or Italian. Email coaching and mentoring is billed at the same hourly rate. If these fees are prohibitive for your budget, consider contacting me for a referral to one of the coaches in my InterGifted Coaching Network, many who have trained with and are mentored by me (their coaching fees range from 75 USD to 180 USD per hour). What do you mean by “gifted coaching”? Gifted clients range from being somewhat to extremely intense and complex – intellectually, creatively, emotionally, existentially, physically, and sensually. In family, society and work where tradition and pre-defined roles often set the standard, they can feel uncomfortable, misunderstood, or existentially panicked at the extreme. They are known to be motivated by their intense curiosity and need for continual learning, challenge, change and understanding; thus coaching that focuses on extrinsic motivation, external rewards, and traditional goals misses the mark in terms of helping a gifted client to connect to his or her own intrinsic motivation and inner sense of purpose. Gifted coaching works at (or near) gifted clients’ level of cognition, shares their complexity of mind, and helps them channel their intensity, complexity and drive toward self-actualization. By self-actualization, I mean: meaningful existence, based on and driven by one’s self-chosen values and unique way of being in the world. We strategize in ways that continue to generate opportunities for clients to fulfill their complex needs, and stretch their minds and capacities even further. Our work together educates and validates clients’ intense minds, and ultimately gives them back full access to their own potential. Learn more about giftedness in my article on Dabrowski’s Theory of Giftedness. You work with highly, exceptionally and profoundly gifted people. Why such a minority population? Because of the rarity of highly, exceptionally and profoundly gifted people (1:>1,000 to <1:1 million, respectively), it is a particular challenge for this population to find the right kind of support. Statistically, they are almost out there all on their own. But they are people who deserve to get help when they need it and have support that encourages, inspires and challenges them. I struggled for years to find this support, so I understand the importance of it, and am honored to be able to provide it. I’m not sure if I’m highly, exceptionally or profoundly gifted. How can I know? Highly, exceptionally and profoundly gifted people think in meta-matrices (as opposed to the multi-step skipping of the mild and moderately gifted, or the linear step-by-step logic of non-gifted thinkers). They see paradoxes, puzzles and patterns everywhere, with any answer about anything generating a new series of questions. There never seems to be ground to stand on, since all knowledge is only temporary. There are huge pluses to this type of mental mapping, such as intellectual speed and capacity (as well as the fun of having so much thought to entertain oneself with); but there are also some pretty major challenges that come with it, such as fitting in socially, slowing down enough to produce transmittable work, and dealing with the mental storms that often come with such intensity of mind. Read more in my High, Exceptional and Profound Giftedness article or consider scheduling an assessment with me. I’m not highly, exceptionally or profoundly gifted. Can I still work with you? If you are mildly or moderately gifted and working on a project or wanting to support gifted people as a coach or helping professional, yes! Tell me about your project or plans and we can see if we are a good fit to work together. If not, I will be happy to provide you a personalized referral to one of the coaches in my InterGifted Coaching Network. What makes a mind gifted and how can a gifted person construct a healthy and effective sense of self? Jen's book is a journey through a theory which on the grand scale looks at giftedness in the context of the evolution of consciousness, and on the individual scale shows a path for how each of us can contribute to a positive evolution of consciousness by constructing healthy lives. What does positive disintegration look like in the real everyday life of a highly gifted person? Jen's memoirs are a journey about discovering self-acceptance and rebuilding a positive social self from the ashes of gifted disintegration. Two books, written under a pen name.